This Saturday, countries around the world will pause in reflection to mark the anniversary of the 11th hour, of the 11th day, of the 11th month—when World War I officially ended. In the United States, this day is recognized as Veterans Day. Many will reach out and give thanks to family members, friends, and colleagues who served and who continue to serve in our armed forces. Speaking as a veteran, we humbly accept the thanks and appreciation received from others. I personally transitioned from active duty only a few years ago, and I wanted to share what LogRhythm is doing in the veteran community to give thanks. There are currently an estimated 22 million U.S. military veterans, making up approximately seven percent of our country’s population. With a large number of veterans transitioning from service in the post-9/11 era, there is a wealth of knowledge and experience that is finding its way into the workforce. These men and women have served in combat zones around the globe. The challenges they have faced and overcome have created a generation of skilled professionals ready to take on new challenges in corporate America. Transitioning veterans are applying their skills in numerous ways that range from starting their own business to joining the cybersecurity industry. LogRhythm is helping in this endeavor by partnering with organizations focused on providing the resources, training, and tools necessary to translate military experience into business leadership. 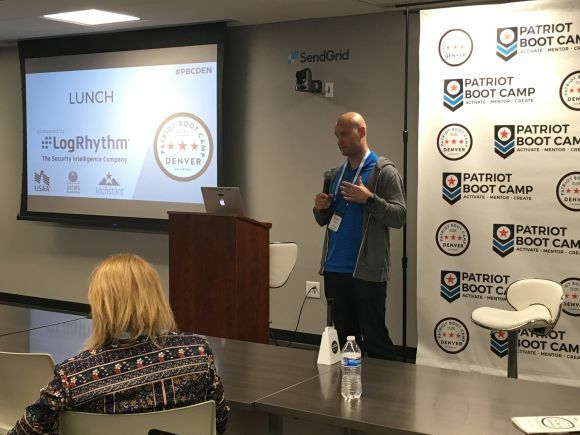 This past September, LogRhythm served as a sponsor for the 11th Patriot Boot Camp in Denver. 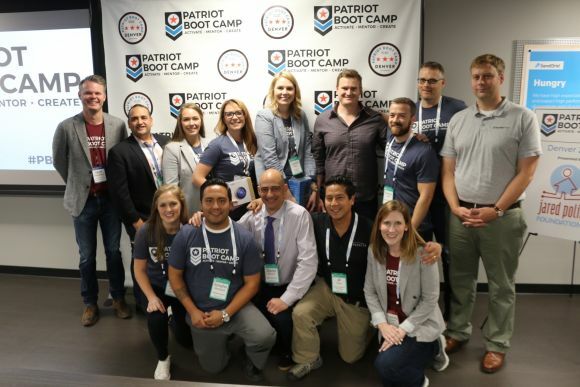 This event brought together over 50 veteran entrepreneurs (“vetrepreneurs”) from around the U.S. to learn the skills necessary in taking a business from an idea to a successful enterprise. Breakout sessions were led by veterans and civilian volunteers, covering topics ranging from funding your startup, to legal hurdles, and marketing techniques. Graduates from the program left having gained a broadened skillset and a supportive community moving forward. Recognizing the high demand for qualified security professionals, LogRhythm is working with SecureSet as both a technology and hiring partner. Their mission is to train and educate the next generation of cybersecurity professionals, and we are excited to partner with organizations focused on bridging the personnel gap. We are very supportive of SecureSet’s Cybersecurity Career Program, which is designed to prepare talented, active-duty men and women transitioning from military service into the information security industry. I am proud and honored to be part of an organization that gives thanks to our Soldiers, Sailors, Airmen, and Marines in such a meaningful way, and I look forward to LogRhythm’s continued investment in our veteran community.